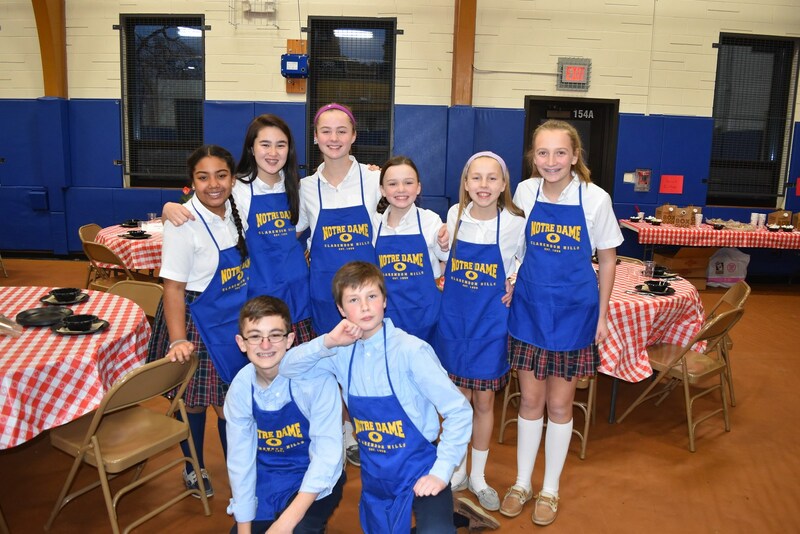 Every January during Catholic Schools Week the gym is transformed into your favorite Italian restaurant. The entire parish comes together for an Italian meal and community fun. Every year before Thanksgiving break the students pack the gym in support of the Notre Dame Athletics. Every year parents are invited to socialize with each other while enjoying an evening out. Events range from Progressive Dinners to bowling. Each year the Eighth grade students perform the Stations of the Cross in a solemn and moving performance open to the entire community. The 5th-8th grade students form a full Rosary in the church. Each student leads the congregation as one of the beads from the Rosary.